A long long time ago…(I’ve had this post on the back burner for about 2 years. Oops!) my bestest friend Erika invited me to a fundraising event that her geography class was putting on called “Guacamole For Justice”. I was intrigued by the guacamole (obviously…!) and also intrigued about what a guacamole cooking lesson could be bringing justice to. The event itself was awesome. I walked in and the place was absolutely packed, which was great to see. 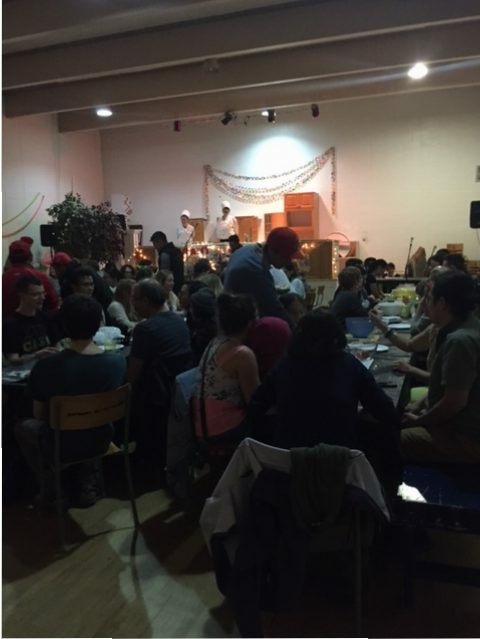 Long communal tables were set up with a ‘cooking station’ set up every few feet. 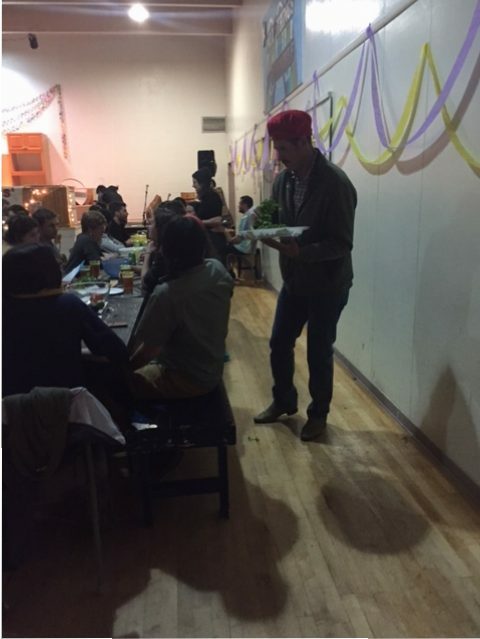 There was a fun, interactive live cooking show on stage, and we got to whip up some guacamole right along with it. A group of migrant workers brought us the beautiful produce to use in the recipe, that they of course had grown and harvested. Following the cooking lesson, everyone was able to dig in and enjoy the guacamole as well as homemade tamales (which I had never had before). Then it was time for a little dance party to some epic live music. Such a fun and informative event. 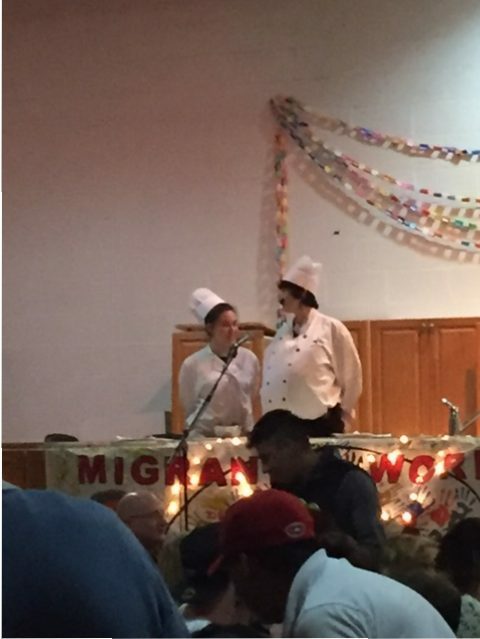 Throughout the cooking lesson, we got to hear stories from the temporary migrant workers about their experiences and the conditions they work under. I have to be honest, I wanted to cry at some points. 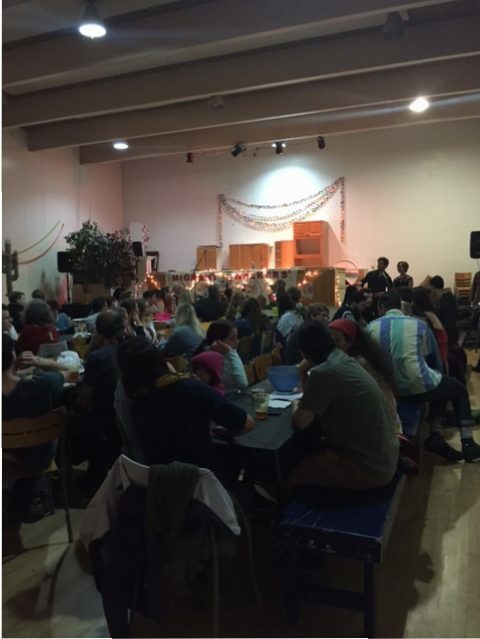 As someone who has a massive love of travel and experiencing new cities and countries, it crushes my heart to think that these human beings could come to Canada looking to better their situation for themselves and their families, and instead be met with a lack of respect and rights as well as inadequate living conditions. They are not given a visa, they are not given any health care rights, or working rights. An 8 hour day? Forget it…try 16 hours, every day. Injured at work? Don’t expect the supervisor to give you any time off. Some of the stories were truly horrifying. Another reason this hit home so hard for me is that I constantly promote the greatness of using local produce. I love locally grown goods. However, I had absolutely no clue that plenty of these local vegetables and fruits that I go on and on about are grown and picked by unfairly treated migrant workers. I see everyone in this world as One…we are all the same, we are all equal. I don’t see how in a country like Canada, renowned for it’s kindness and compassion, that we can be treating people in this manner. By this post, I am just hoping to share the information that I learned and open your eyes to something you may not have known about, just like me. If you would like to help, there are several things you can do. Observe – join the Migrant Workers Dignity Association as a commissioner and visit the farms and workplaces of Temporary Foreign Workers to witness their conditions, and share your experience. Volunteer – You can help as a translator or interpreter (by phone or in person) assisting with documents, doctor’s visits, etc. Donate – Help raise funds for the activities of the MWDA. Write grant applications, organize fundraising events, etc. 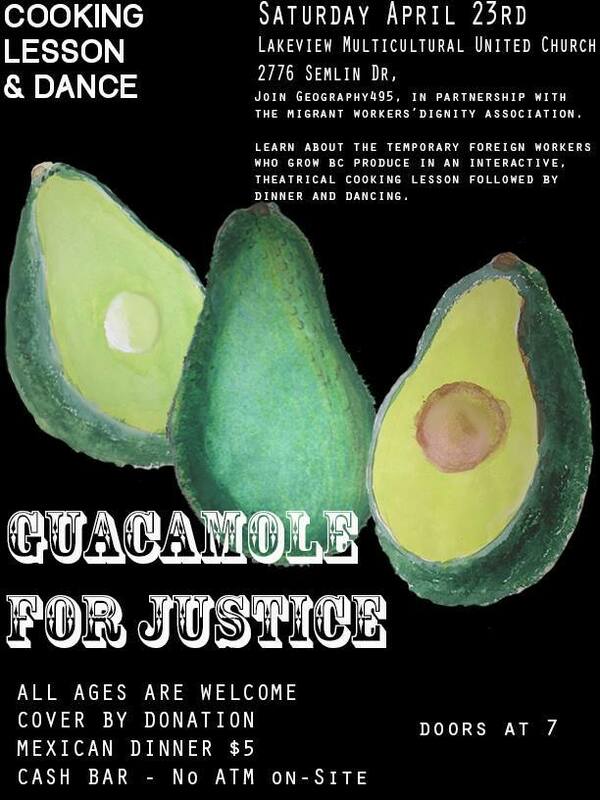 Guacamole For Justice was put on in conjunction with the BC Migrant Workers Dignity Association (MWDA). This is a not-for-profit, civil society-based organization. Their goal is to assist in the improvement of the conditions of Temporary Foreign Workers (TFWs) while in Canada, as they represent one of the most abandoned and discriminated populations of workers, both Canadian, and temporary. Mash the avocados, I like to leave it a little bit chunky but it's your call! Stir in the remaining ingredients. Enjoy with tortilla chips -my favourite are Que Pasa!